Here in Utah we usually have snow on the ground at this time of the year, but not this year. We've had a couple of skiffs and that's it. I'm not complaining but many are saying "Let it Snow!" It's a funny thing because when it starts to snow and everyone starts slipping around when they drive and they get wet and cold, they start complaining about the snow. We'll see if my Eskimo w/Igloo card brings some snow for the new year. Here is wishing you all a Happy and Prosperous New Year! Yes. . Celebrate the BIG 2. . . 201"2". . . . 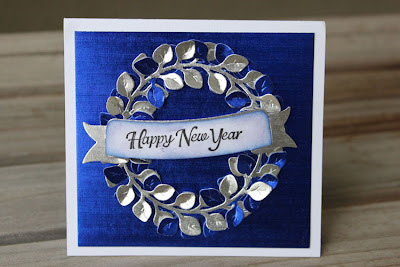 This week I decided to work on a New Years cards. I used a few dies from the Cottage Cutz Birthday release from the middle of 2011. Cottage Cutz Celebrate which has the word Celebrate and several confetti type shapes and the two small Cottage Cutz dies, two styles of balloons. The entire Birthday release really allowed you to use most of the dies for any type event.I used Lime Green glitter, Black & White Bling and Metallic Gold card stock. The colors seem to pop against each other. I foam dotted some of the balloons to create dimension. I used a 1/8 hole punch to cut a few Lime Green Glitter card stock dots and glued them to the black sheer ribbon so the polka dots would match the card. You can't always find ribbon to match a card perfectly. The tag with the 2012 is tied with a gold cord bow to the BIG 2, just like a tag on a gift. I also let the balloons and strings overlap the card a bit. Fill the finished card with confetti before mailing. . . 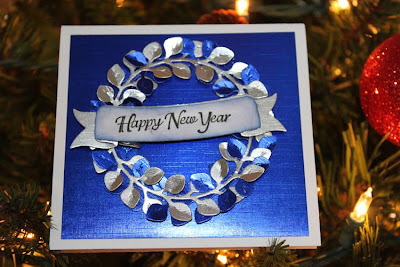 Since Christmas is over I was looking for something fun to make for New Year's and spotted my wreath die sitting on my craft counter. So I made a New Year's wreath. This was so simple. 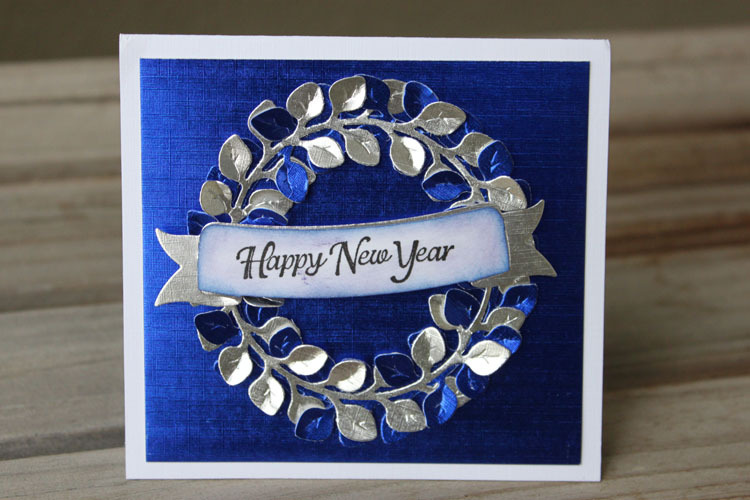 I cut out a silver and blue foil (American Crafts foil cardstock) wreath and then placed the silver one over the blue one and stuck a few of the blue leaves up over the silver ones to intertwine them. I cut out the banner from the same die. I cut out a white one and a silver one. I stamped the white one and the cut of the sides, inked the edges and adhered it to the silver one. I used pop dots to raise it above the wreath. Super simple. I hope you all had a Merry Christmas and I wish you a Happy New Year! Hello everyone, and Happy Wednesday to all! 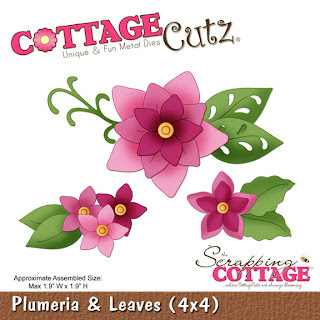 Today im sharing the Beautiful Plumeria & Leaves Cottage Cutz. this cottage cutz is perfect for adding handmade flowers to your projects. I used pink card stock, pink ink, stickles, and a pearl to create my flower I also inked up the leaves. For the design paper I used My Little Shoebox design paper and stickers for my wording. I added some sewing, Ribbon(RRR), and a fabric brad to the center of my bows. Good morning friends! I hope you all had a Merry and Blessed Christmas or special time spent with loved ones during this holiday season. Our Christmas was very pleasant. My 15 yr. old had his wisdom teeth removed on Thursday. Other than having chipmunk cheeks, he has been such a trooper and hasn't complained a bit. Though he has been eating puddings, and jello, and ice cream and yogurt, he was able to eat a couple of helpings of turkey stuffing with gravy for his Christmas dinner. The rest of us enjoyed turkey, stuffing, mashed potatoes and gravy and some other sides. My oldest son said the turkey this year was one of the best he has ever had. It was very moist. I soaked it in a salt brine the last couple of times and I believe that has made all the difference. I always baste my turkeys but the salt brine was the only thing that was significantly different than other times I have prepared turkey. I always wash and soak my poultry, like my mother taught me, but I added much more salt to the soaking water than usual. I hope I haven't bored you with my little cooking lesson. I don't usual ramble so much. After dinner some of us started putting together a 1000 piece puzzle, another past-time my mother also shared. It is nice that my son's girlfriends also enjoy doing them as well. Enough of my rambling lets move on to my card. I used the very popular Peeker Pocket die along with the Shih Tzu Peeker die to create my card. The little pooch was one of the first dies I ever received, and I still love it! 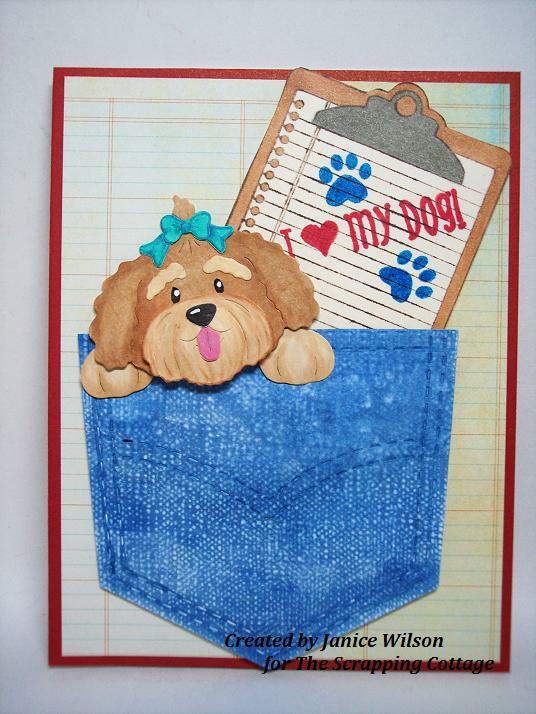 I cut the pocket and puppy from white cardstock and colored the images with copics. 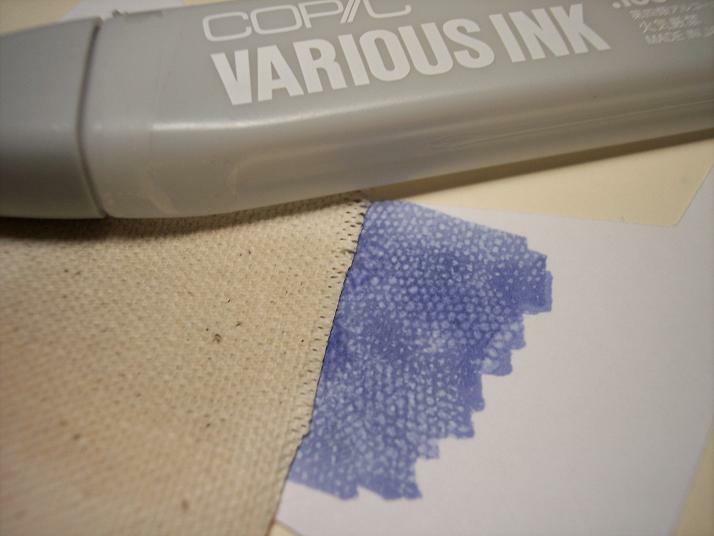 To create the texture on the pocket, I first colored the pocket with a blue copic, I think it was Manganese Blue. Then I took a piece of scrap fabric that seems like a denim of some sort, and my colorless blender refill solution. Wet the fabric scrap with the colorless blender and press it to the colored pocket to remove color and create the texture. I learned this technique from a very talented artist, Joanne Basile, who taught some My Favorite Things classes at my local Scrapbook Store. (I hope I spelled her name correctly.) Isn't it a great technique? The paw print and sentiment are from Market Street Stamps Pawprints on our Hearts set and the clipboard stamp is by Unity. 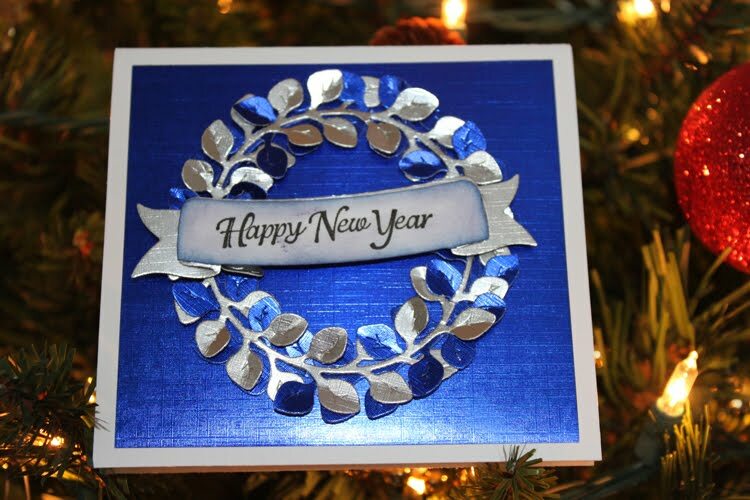 I hope you have a wonderful day and a safe and Happy New Year! I will be back with another post on January 7th. Thanks for stopping by! 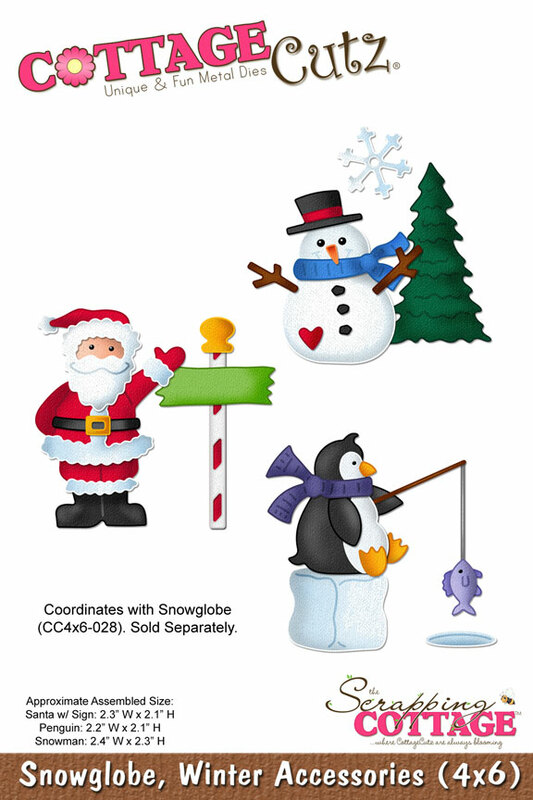 This Winter Snowman Cottage Cutz die is so perfect for ALL your winter cards and projects. I just left out a few of the accessories included with this cutie to make him more of a general winter character than a Christmas one. He's ready for some snowy fun, just like we are!! Wishing you a bright and beautiful day and happy crafting! Merry Christmas! I hope you are getting to spend time with your family and loved ones! 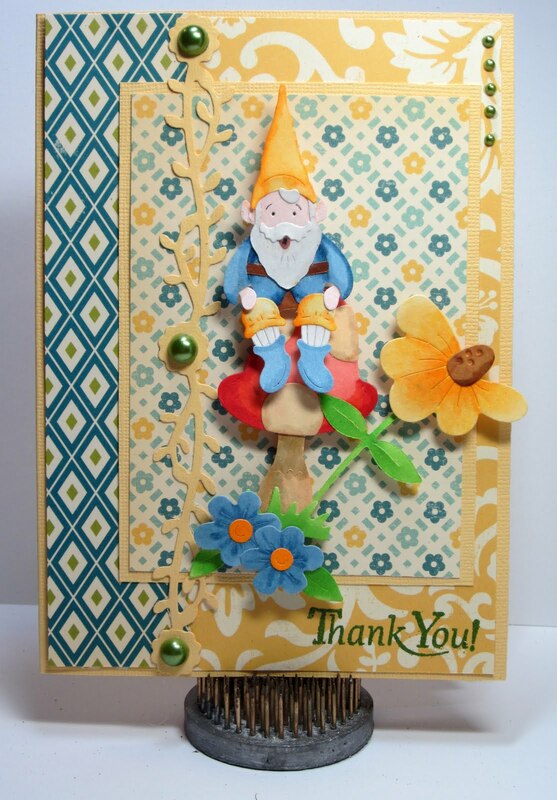 I have a thank you card to share with you today. I know I will have lots of thankyous to send out, so this will get me started! 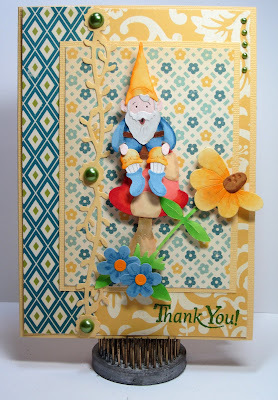 I used the adorable Mr. Gnome die, Mushroom and Flowers die, and Flowervine Edger dies from CottageCutz. This little gnome is just so cute, he makes me smile! Merry Christmas Everyone!!!! Today I created a sign...now let me explain it just a bit. My Mother's big party each year is Christmas Eve and she always tries to have a little keepsake for everyone to take home. This year she has a beautiful little twig tree she spray painted silver and covered in glittery snowflake ornaments for everyone. 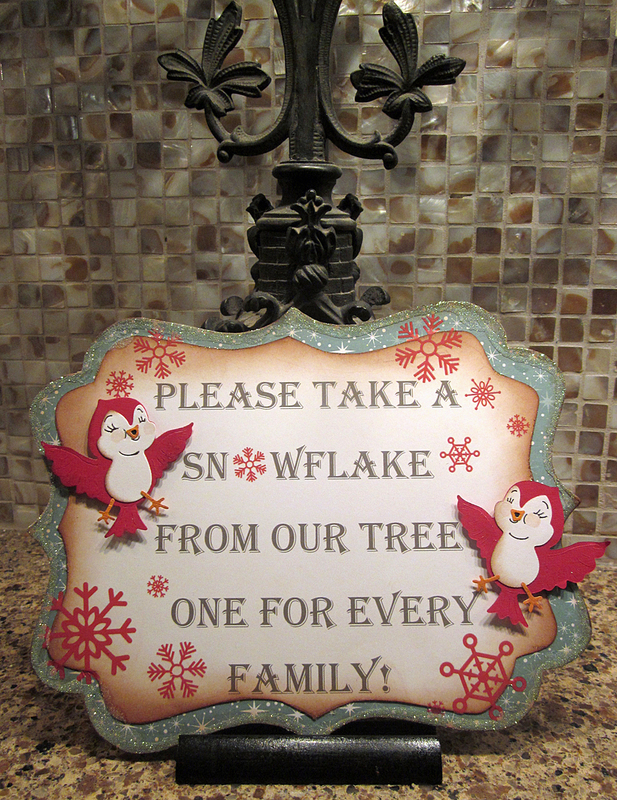 However with it being the center piece people would never know to take one home with them...so I thought I would make a little sign to put in front tree. 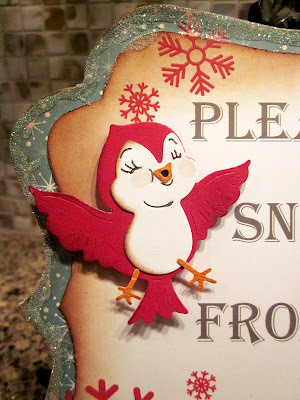 I used the adorable HAPPY BIRD die for this project. I've always looked at this die and have seen a sweet little bird singing in spring, but I love how he looks like a snowbird for my project today.....really a die you can use all year long. I hope everyone has a safe and Happy Christmas and is able to spend it with family and friends. See ya next year!!! Hello everyone and Happy Thursday to all! Today I wanted to share the sweet "Hot Cocoa Cafe" LOVE this cottage cutz too! There are different ways you can put this together, and i kept mine kinda simple. I also used the banner from Boxwood Vine Wreath, and the matching stamp 'Tis the Season, now for the background i used the Holiday Doily in Red. Hot Cocoa Cafe was cut out all in white, and then i colored each piece with copics. Next I added some stickles for the snow :) LOVE the look it gave to my Cottage Cutz. Well I hope everyone is ready for Christmas, I have wrapping to do, and all my shopping was done online this year. this is our first year with no presents wrapped yet under our tree, they are all up here with me, waiting to be wrapped.....hehehehehehe Im waiting for my hubby to help me, as i wont be able to do it alone. I do want to wish you all a VERY MERRY CHRISTMAS!!!! Thank you for looking and have a very nice day! and catch our breathes a little in the days just before Christmas. LOL! and American Crafts Glitter Gel pens to color in . 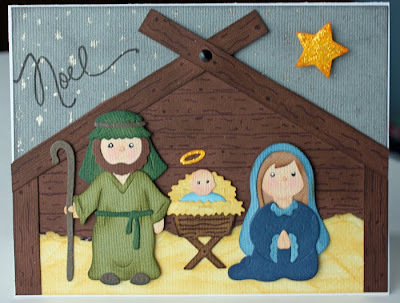 Warmest Wishes for a blessed Christmas time with you & yours ! A Touch of Sparkle. . . .Here I used glitter paper three different ways with the Cottage Cutz Dies. The first was the Cottage Cutz Celebrate the Season die. I cut the scroll verse from glitter paper than mounted on white card stock, than mounted on black card stock.. Added a dimensional 3/4" black card stock circle with a mini snowflake from the Cottage Cutz Snowman in Mug die. I also added some eyelash yarn in the same red sparkle as the verse around the snowflake. 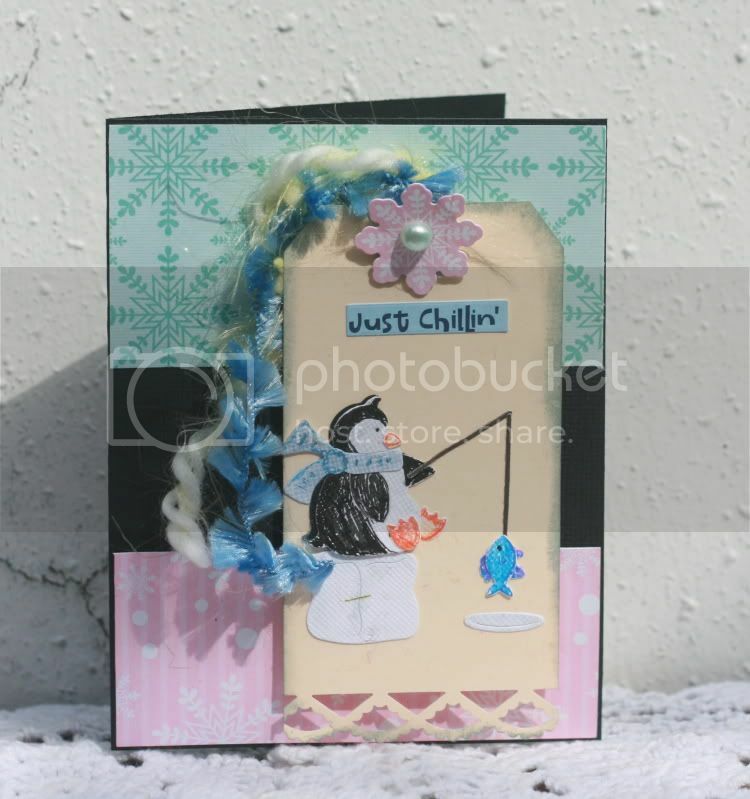 The second mini card I used the Cottage Cutz Filigree Snowflake die. I made a 4" x 4' Card with a 3" x 3" window, slipped the white glitter paper behind the window than mounted the tips of the snowflake to the frame. I than added a few clear and silver jewels to the snowflake. The third mini tag you can see only take a few cutz. I used the Cottage Cutz 3'x3' Snowflake Ornament die. The ornament was cut in white card stock first, than red glitter paper. I trimmed the edge of the ornament away on the red glitter ornament. . to use the snowflake only. I used a hole punch to cut the 2" black circle and a 3/4" for the small white circle. Start your sandwich with the white mini circle glued behind the red glitter snowflake. Glue the red glitter snowflake on top of the white ornament, matching the pattern. Than glue the entire ornament to the black 2" circle. Added jewels to the tip of the red glitter snowflake and a large jewel in the center. Mounted on Silver card stock. Added note: I used Black, Red and White with a bit of Silver on all the cards. The Black against the vivid Red and stark White makes a really good contrast. Black has become designer favorite at Christmas in the last two years. Thanks and this will be my last post before Christmas .
. so Merry Christmas to all and to all a good 2012. Here we are, only a few days before the big day. 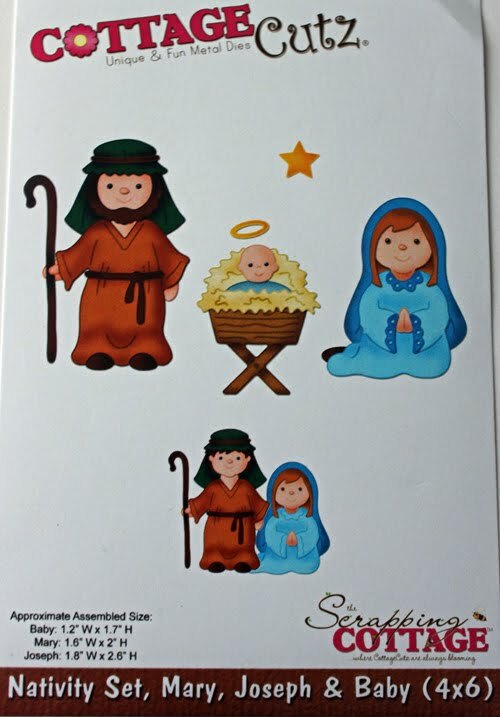 I have a Nativity card for you today to help us all remember the reason for Christmas. The Nativity die is a 4x6 die that comes with Mary, Joseph, the baby Jesus and a star. 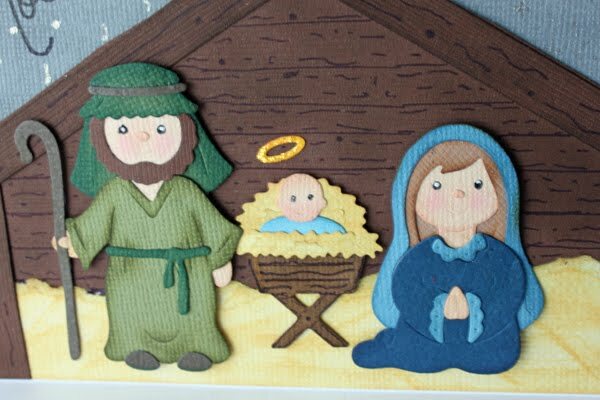 I made the stable and hay myself. Hello Everyone! Today I wanted to share a card that is different than my usual style. This is clean and simple with high impact, I think. I also wanted to show you that you do not need a Christmas tree die to make a Christmas tree. I first cut a triangle in the shape of a Christmas tree, from glittered cardstock. 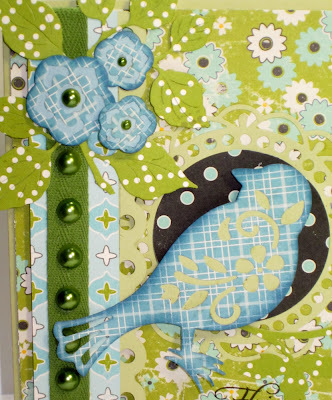 I cut several strips of paper using the Scallop Three Edger die from green patterned paper. I then layered the strips onto the Christmas tree, offsetting each strip so the scallops were staggered. I cut a brown tree trunk and then adhered the tree to a red card base. I cut a strip of white glitter cardstaock with a slight wave for a hill. Merry Christmas was written with a white gel pen, and a white snowflake was added for the tree star. How do you use your dies in different ways? I hope this inspires you to look at the possibilities your dies can create. Thanks for stopping, as always. Driving By With Merry Christmas Wishes!! Good morning! Lorie here today, and as the title says, I'm driving by this this cute little Santa to send you wishes for a VERY Merry Christmas! 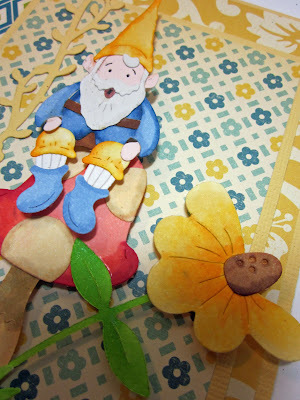 I was so happy when this Santa's Truck with Tree die arrived in my mailbox, because I though he was SO stinkin' cute!! I knew it would be loads (pun intended) of fun to work with, and I wasn't wrong!! 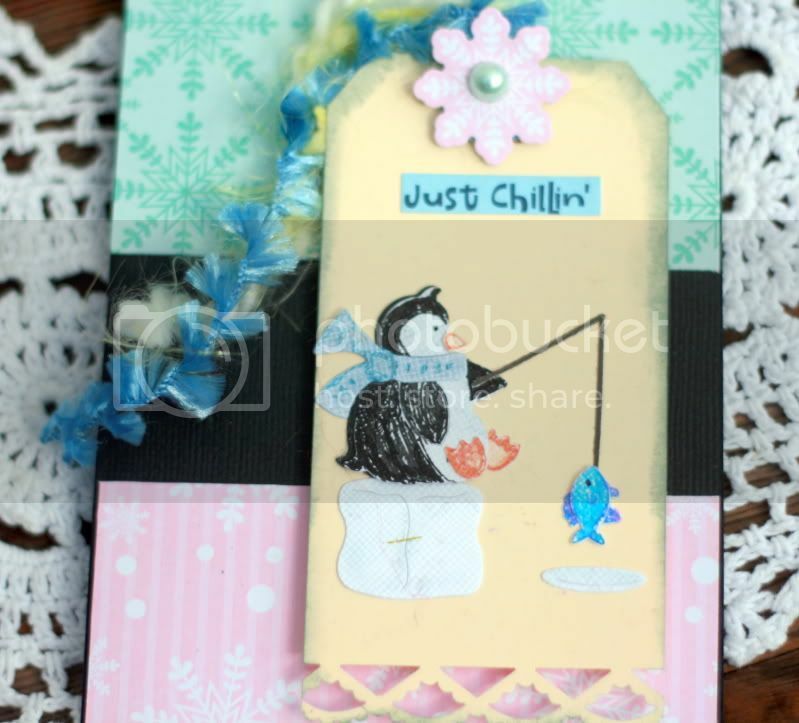 Here's my card using this adorable Cottage Cutz die. Thank you so much for dropping by today. I wish you a glorious Christmas filled with more blessings than your heart can hold. Merry Christmas!!!! I think I have been making Christmas projects since August - so I decided I needed a little break from the Holiday festivities! So I've got a card that is a little bit more spring inspired! 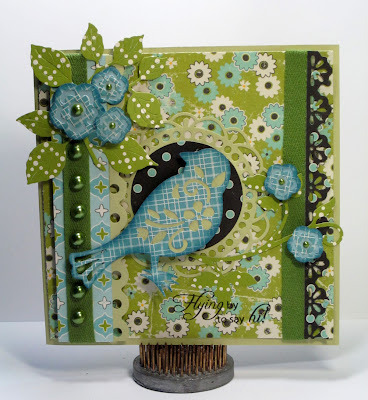 I love the layering of the dies and patterns - I just think it makes for a fun card! 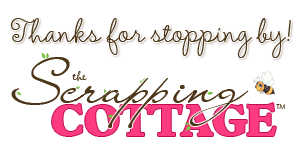 Scrapping Cottage Saturday Challenge #8 ! PSA Essentials & Cottage Cutz December Hop!